The Netherlands Organisation for applied scientific research TNO gave a select group of young designers the opportunity to experiment with their new SLS powder 3d- printer. 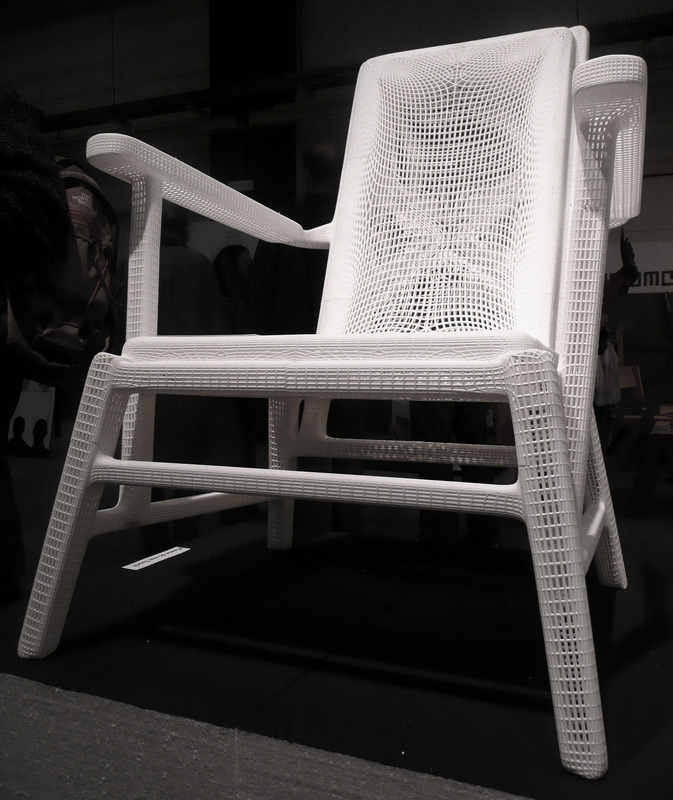 The resulting varied collection of designs were showcased during the Dutch Design Week in 2008. 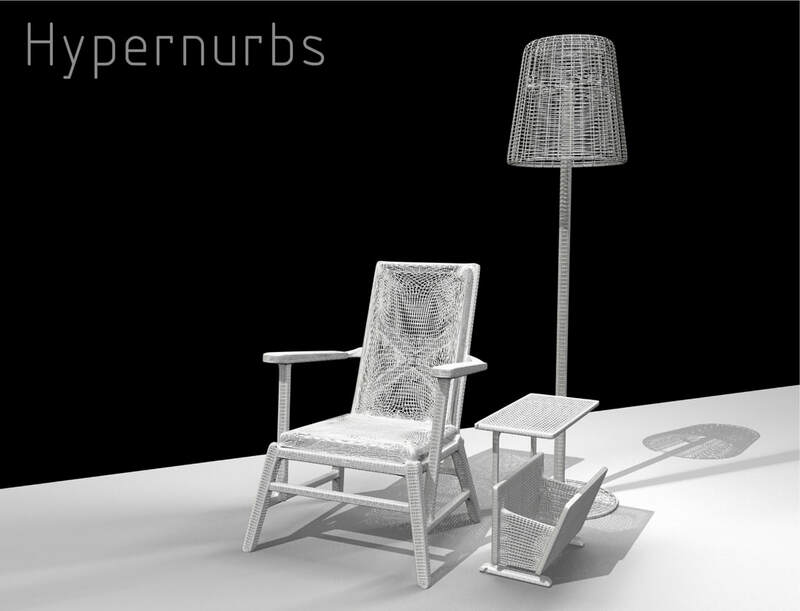 For this project, Thomas used vintage pieces of furniture as input for 3D-CAD software. The software would calculate a mesh around the shape, giving it a computerized look and feel. The SLS-printer is subsequently used to print the mesh pieces and create a computer-environment in the tangible world. 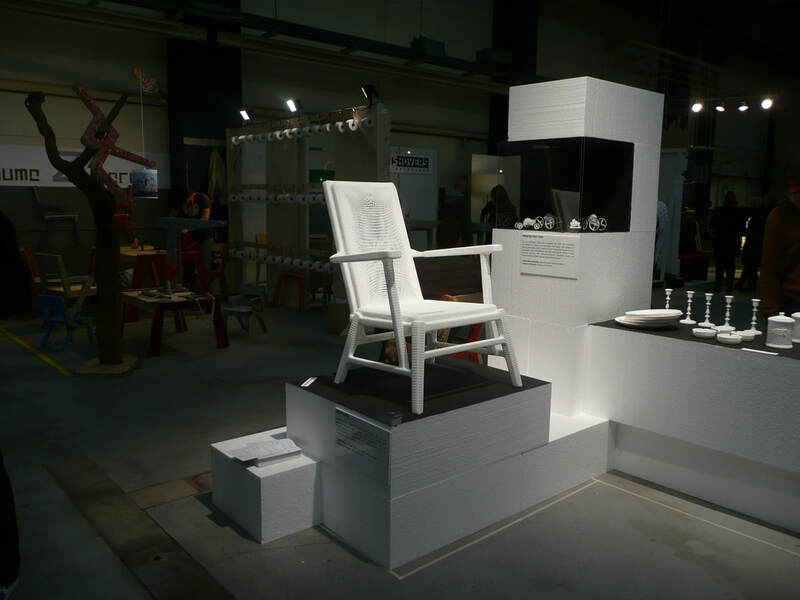 Besides contributing to the project with his design Hypernurbs, Thomas was responsible for the design of the exhibition during the Dutch Design Week. 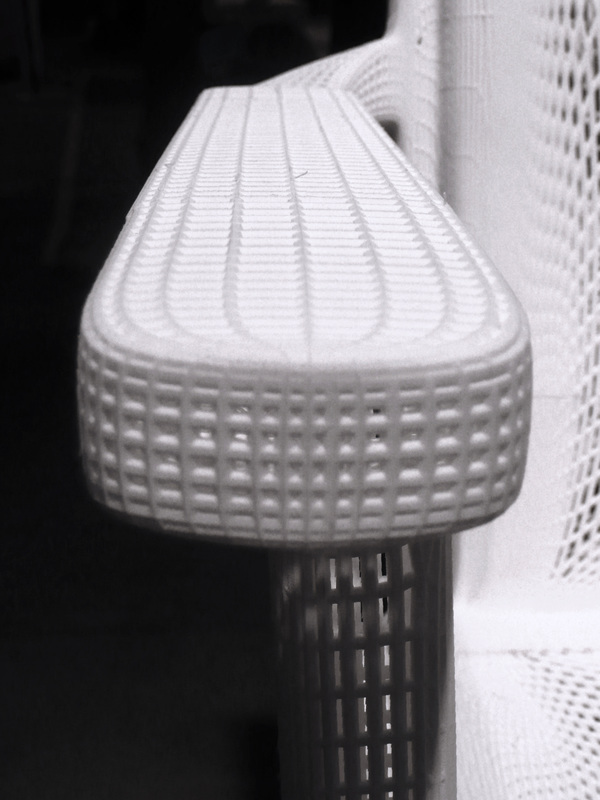 Selective laser sintering is an additive rapid manufacturing technique that uses a high power laser to fuse small particles of plastic, metal, ceramic, or glass powders into a mass representing a desired 3-dimensional object. After each cross-section is scanned, the powder-bed is lowered by one layer thickness, a new layer of material is applied on top, and the process is repeated until the part is completed.